Introducing the new and improved product from KISS, it's the White Me Up Sleeping Mask! I've had the honour of trying their previous mask a try, you can see my review HERE and I absolutely loved the results from the previous product so you can imagine my happiness when I knew I was given a new and improved product a shot. 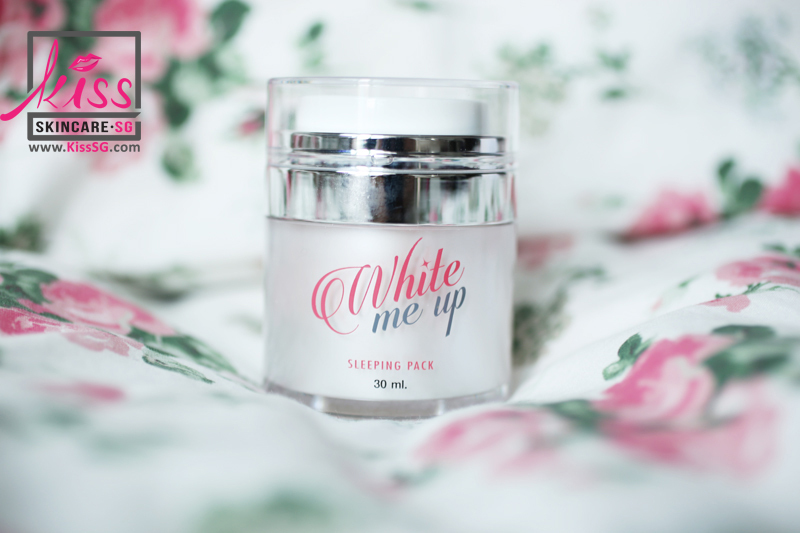 So from today onwards, the KISS Whitening Collagen Cream Mask will be renamed and repackaged as Malissa KISS White Me Up Sleeping Pack! 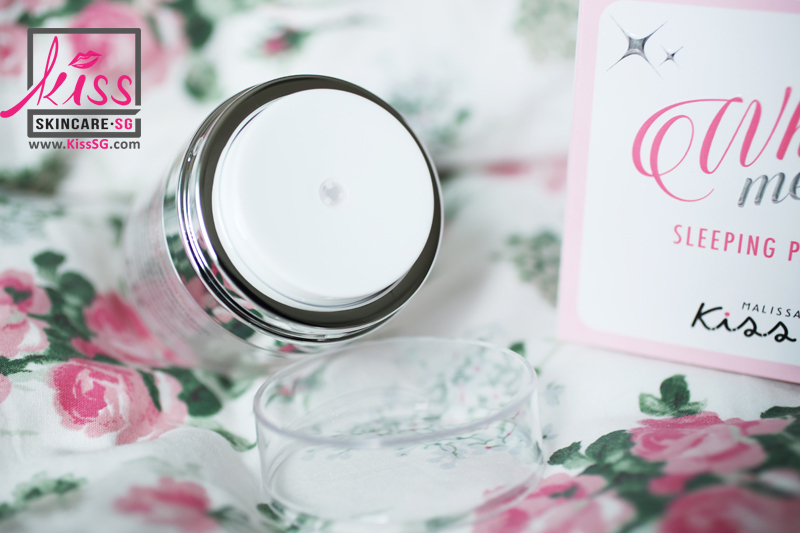 I'm really particular about the way my products are packaged and I'm glad that similarly to the old packaging, the same closed-pump application ensures that the product stays sealed and fresh within. No need for spatulas and fingers, all you have to do is pump 2-3 times and you're done! It's really easy to apply and readily absorbed so you don't have to worry about the product getting onto your sheets or clothing! Don't forget to quote that you're reader with this discount code "DONNAKISS" to be entitled $5 off your purchase! Do also remember to check out and follow Kiss SG's Facebook page and Instagram for the latest updates on products and reviews etc. WWW.KISSSG.COM is certified and authorized for the sale of KISS Skincare in Singapore.